The Six Obstruction, 2006, 12:07 min. 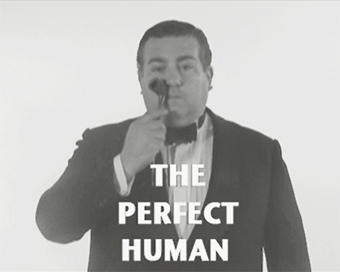 Lars von Trier’s favorite film was ‘The Perfect Human’, a Jørgen Leth’s classic from 1968. In 2003, Lars von Trier and Jørgen Leth colaborated and made ‘The Five Obstructions’, a film in which Von Trier gave Leth the task of remaking ‘The Perfect Human’ five times, each time with a different “obstruction” (obstacle). In 2006 I made ‘The Six Obstruction’, A variation on Leth’s classic, using the synopsis/storyboard of the original movie and the original sound track. Featuring Theodore Bouloukos and Joanne Douglas.